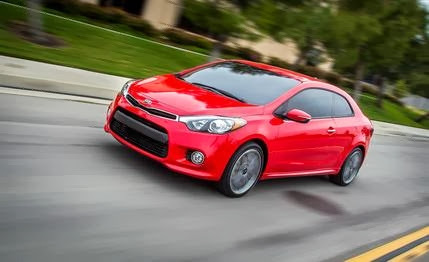 2014 Kia Forte Koup Turbo. It looks like a nice car but I would never drive a Kia even though it looks nice. There was a lot going on at the LA Auto show it looks like. Hope to see some of these car on the road soon. Style and looks are the biggest selling points of a car.